Action Data | Appracatappra, LLC. Provides light weight low-level and powerful high-level access to several common databases and data formats for iOS, tvOS and macOS with Swift and Xcode.  Action Data provides light weight, low-level access to your data using industry standard SQL, even on data sources that typically don’t support it. For native iOS, tvOS and macOS development using Swift and Xcode. Use our custom ADDataTable protocol to move data between your Swift Class or Struct object models and the data source with a minimal of code. Action Data has been released Open Source under the MIT License on GitHub. Created by developers, for developers. Appracatappra’s controls are designed to be quickly added to your app’s project with a minimum of code and effort, making it easy to add high-quality, professional features and functionality to your app without having to write tons of repetitive, boilerplate code. Our Action Data Binding controls allows you to quickly develop and maintain complex iOS forms and data displays by binding fields in your data model (any Swift class or structure that conforms to the Codeable protocol) to UI elements in your Storyboard in Interface Builder via designable properties. Read, write and format values, automatically handle the keyboard, respond to user interaction and select from multiple options, all without having to create Outlets or Actions in your Storyboard. Action Data Providers provide light weight, low-level access to several common databases and data formats such as SQLite, JSON, XML, SPON and CloudKit. Results are returned as a key/value dictionary (ADRecord) or as an array of key/value dictionaries (ADRecordSet). Action Codable controls provide support for several common databases and data formats such as SQLite, JSON, XML and CloudKit using Swift 4’s new Codable, Encodable and Decodable protocols to move information between your data models and our portable ADRecord and ADRecordSetformats. The Action Data Developer center provides a wealth of information and sample apps to help you get the most out of the components. That’s why each tool in the Action Data suite has a fully documented API, with comments for every element included. 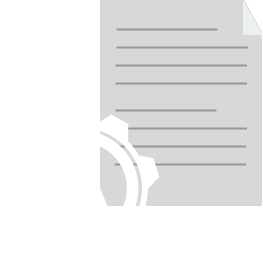 Check out our API documentation to discover every feature that Action Data have to offer. Can I use Action Data on multiple projects? Are Action Data royalty free? Can I install Action Data on multiple development machines? The short answer is yes, you can install your copy of Action Data on as many development machines that you own. That said, Action Data is sold on a per developer seat license. If you have multiple developers, each one will need to purchase their own individual copy of the components.